Putting hardwood floors into your home or office? Great choice! The increase in value is generally three times the cost to install it and is an absolute must for a quick resale in the future. 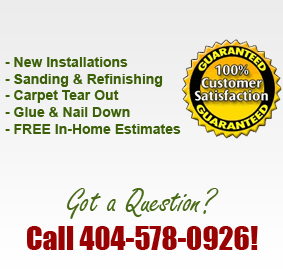 We are hardwood floor installers serving all of Atlanta, Georgia.